This Match Play Is Making Cranky Golfers Crankier! I never really thought of match play as a format that would engender much rage, especially from players who have largely written off the format for its vagaries. Maybe it's the silly Harding Park rough, which looks so overfed that we may have identified a key source of California's drought. Maybe they are confused by all of the possible scenarios Friday, which seems to have more than must players upset. Why, I have no idea. Sit back and enjoy the madness I say. But if you need a guide, G.C. Digital has a pretty handy one here. 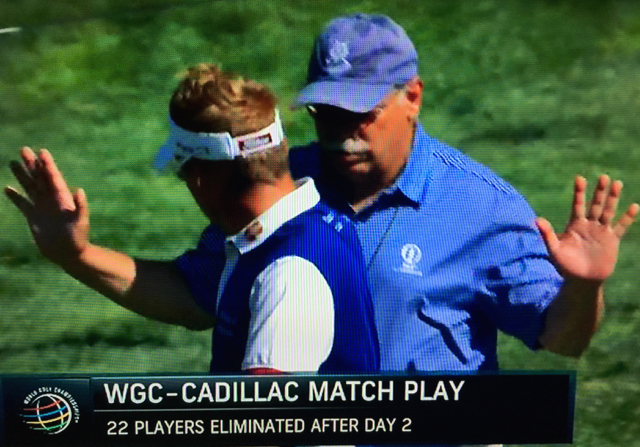 Or maybe it's the combination of rough and mean old match play bringing out so much rage at the WGC Cadillac Match Play. But who cares when you get easy laughs like this! Thursday there was Keegan Bradley kicking his bag (eh…not the most athletic kick, but love the passion!). 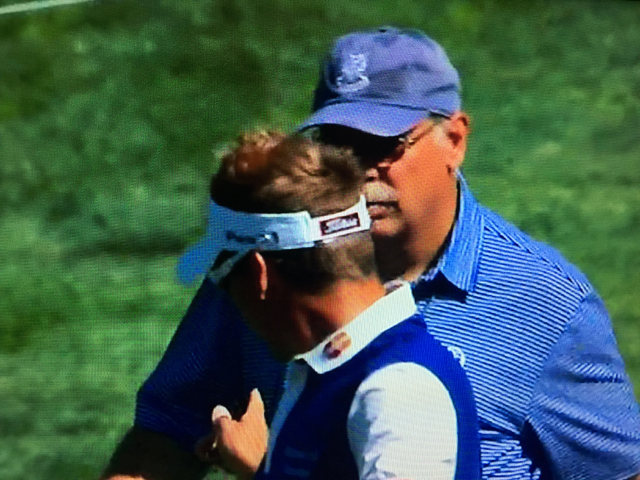 And there was my favorite image sequence of the year, with Ian Poulter pointing at Golfweek’s Alex Miceli, who attempted to ask something post-loss number two.